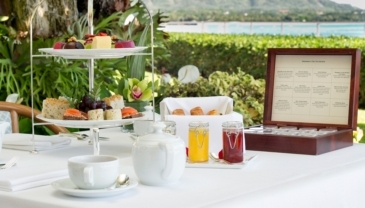 JASNA Hawai`i returns to Orchids at the Halekulani for an elegant afternoon tea on Saturday, February 18, 2017 at 3 PM. Orchids proved very popular with last year's attendees, as service was excellent and the setting nothing short of magnificent. Our next event will perhaps be a spring or summer "Box Hill" picnic, although we're thinking about reviving the idea of a reading group. Your suggestions are welcome. Write jasnahawaii@jasnahawaii.org.